Hello. Maybe someone can post here all orginal textures... From OMSI/Textures folder? I have lost the original textures. I can advise to load RePack of OMSI. It's useful. You can take many things from one. If your game is license (I'm not sure, but you can try) you can delete this folder and repair OMSI using Steam. P.S. 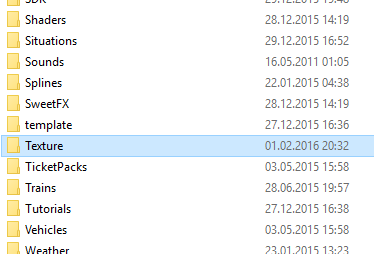 Texture folder usually is big... therefore it's better to download the Repack (or copy and save new-installed game, some folders) and use it in such cases.